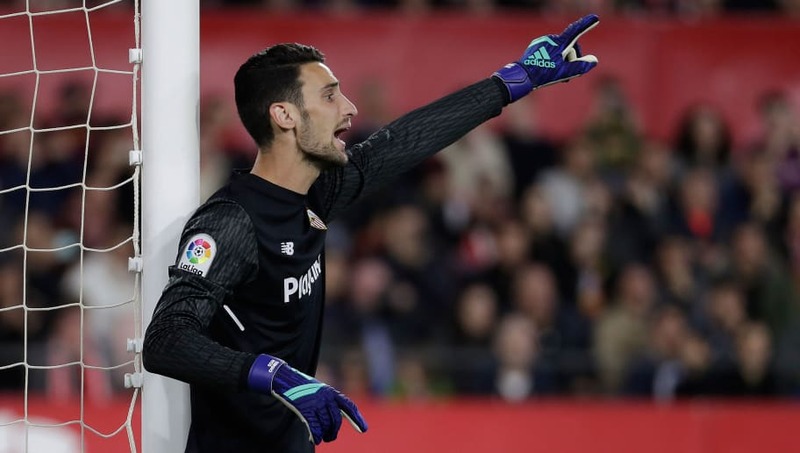 ​​Watford are understood to be considering a bid for Sevilla's goalkeeper Sergio Rico, as a replacement for the ageing Heurelho Gomes. Gomes will go into the 2018/19 ​Premier League season with only a year left on his contract, and at 37 it is unlikely to be renewed come May 2019. Orestis Karnezis was brought in on loan last season, and made 16 appearances for the club, conceding 24 goals and collecting four clean sheets, but it is understood his move will not be made permanent this summer. And, having looked into the signing of ​Swansea City's Lukasz Fabianski, it now appears they have been pipped to the post by ​West Ham United, with the ​Irons now closing in on a deal for the Polish International. In light of this, the Hornets have turned their attention to the 24-year-old Spanish keeper. Rico has had a difficult season at the Sanchez Pizjuan Stadium, and lost his place to David Soria at the end of the season, but is still a highly rated commodity. Milan were said to be interested in acquiring him last summer when Gianluigi Donnarumma appeared close to the exit door, but their interest subsided once the Italian committed his future to the ​Serie A side. AS.com are now reporting that Rico would be available for Watford, if they are willing to put up the mooted €15m that the Spanish side are after. The keeper's relationship with fans and teammates has soured in recent times, and rumours of his exit have increased since he switched agents. He is now represent by Sergio Ramos' brother. Milan, ​Napoli and ​Arsenal were all thought to be looking into the Spaniard's signature, but it is Watford who are the clear frontrunners at this time.